If you’re in the process of planning or building your dream house there’s one thing you need to keep in mind: it will only be as beautiful and compelling as the lighting allows it to be. As both residential electricians and commercial electricians are well aware a poorly considered lighting scheme can cause the most stunning design to fall flat on its face or elevate a so-so design to the ranks of something pretty special. 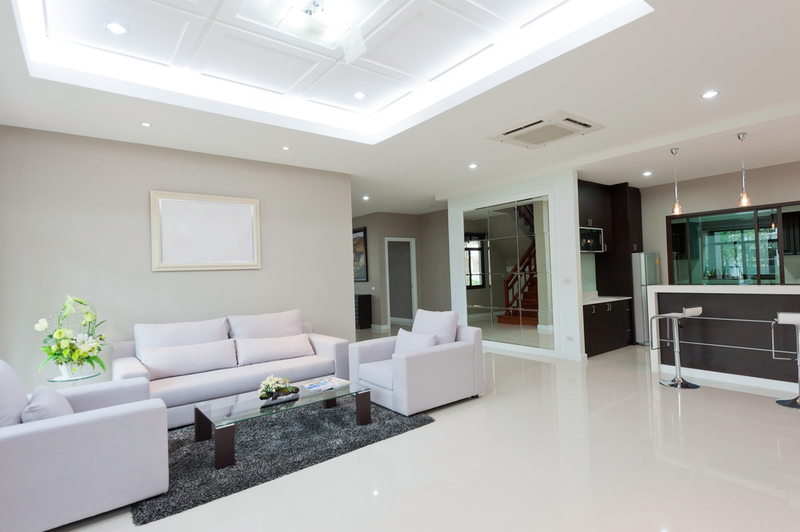 In the past, when a homeowner’s lighting options were limited, it was perhaps understandable that a lot of lighting schemes left something to be desired. Today however, with so many types of fixtures and bulbs and so many different control systems at your disposal, failure should not be an option when it comes to lighting. Lighting activates a space. It’s the final ingredient in your interior design and without it those focal points you spent so much time creating with the decorator won’t pop, your expensive custom-made furniture will sit there looking bored and your interior will seem like little more than a collection of boxes joined by doors. If you want to ensure your home is truly your castle it behooves you to understand some lighting basics. It’s a good idea to hire a professional lighting designer for your new home but it’s also a good idea if you yourself have a grasp of lighting fundamentals. That way you can have a productive relationship with the designer (as well as with the residential electricians that will bring the design to life) that will result in a lighting scheme that’s sculpted to fit both the space and your particular tastes. To start with keep in mind that the residential electricians hired by the builder will be working with a very basic lighting scheme laid out by the architect. That scheme is designed to provide only the barest minimums required by the spaces involved. If you decide to come up with your own scheme before construction starts run the new scheme past the builder and ask for a revised estimate. Then get a quote from an electrician regarding how much it would cost to modify the lighting scheme after the home is built. You might find you can actually save money doing it after the fact. One of the most important things when it comes to lighting is finding a balance between aesthetics and practicality. That is, between form and function. Your custom lighting scheme needs to be practical in that people have to see where they’re going and you need to have enough light brought to bear on key tasks so that you don’t hurt yourself. At the same time your lighting scheme needs to be able to set different moods at different times and to draw the eye toward spaces or objects you wish to call attention to. 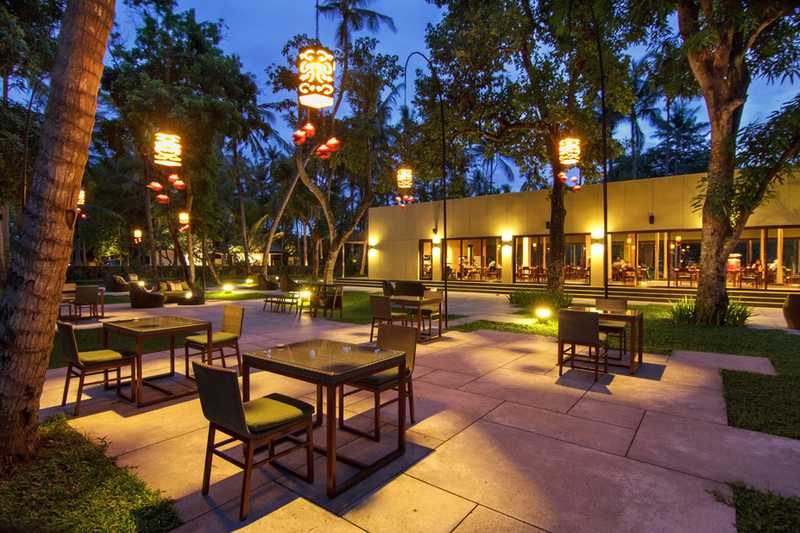 The lights will also comment on and emphasize different aspect of the space and create linkage between indoor and outdoor spaces such as a deck or an outdoor kitchen. Once you get into the nitty-gritty of designing your lighting scheme you’ll want to keep the following additional considerations in mind at all times. The purpose of the space – What goes on in this particular space? What is its function? How can light help the space better realize its purpose? Position – You may choose to install a particular type of light to set a mood or illuminate a task but if it’s poorly positioned it won’t effectively do either. Types of light fixtures – Different situations call for different types of light fixtures. A pendant light is a common choice for over the kitchen counter but isn’t such a good idea over the bed. Volume – The size of the room plays a big part in determining how you should approach lighting it. You may want to handle it as one large volume or you may want to use light to divide the space into different areas. The surrounding surfaces – Are the major appliances in the kitchen mirrored stainless steel? Copper? Is the upholstery in the living room visually active or a simple matt white? The lights will need to exist in harmony with their surroundings not create visual dissonance. Energy efficiency – Any new home lighting scheme that doesn’t integrate LEDs, CFLs or other hyper-efficient, extremely long lasting bulbs is starting off behind the 8 ball. While it may be tempting to ask your residential electricians to simply install pot lights everywhere or just install a few track lights and call it a day you really need to consider all your lighting options in every case before making any hard and fast decisions. There’s no doubt that effective lighting is an art form. If you doubt that simply spend some time in a fast food restaurant where the sole aim is to light the space as brightly and cheaply as possible. Then go to a high end restaurant where care and consideration are used to create an engaging environment where diners can relax and enjoy the gastronomic delights. Effective task lighting takes just as much thought and consideration as effective mood lighting and is an equally important art form. This is another argument in favour of working with lighting designers as well as experienced commercial electricians or residential electricians. They’ll know how much and what type of light should be used to illuminate various tasks and how to integrate it with the overall lighting scheme. Task lighting is driven as much by the function of the space as much as any other consideration. For example, in a bathroom the light should be designed to illuminate wet spots so that you don’t slip and fall and to bring light to bear on your face for shaving or makeup purposes. While outdoor lighting will need to bring sufficient light to bear on things like the grill or the deck around the pool; again so that people don’t slip and fall while swimming at night. 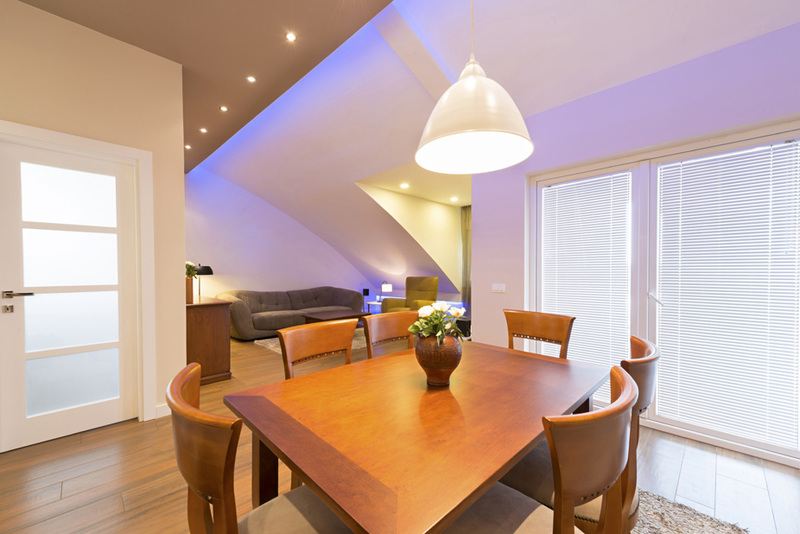 Recent advances in lighting technology have produced a dizzying array of lighting options for the home. So much so that it can be difficult to know where to begin and what type of bulb to use where. Below we’ll try to bring the light bulb landscape into focus a bit for you. Incandescents served homeowners faithfully for nearly a century and for that they earn first place on our list. However, incandescents are not just far more wasteful than today’s newer bulbs, they’re also becoming increasingly hard to find and will likely disappear completely from store shelves in the near future. It was a good run but it’s time to move on. RIP. 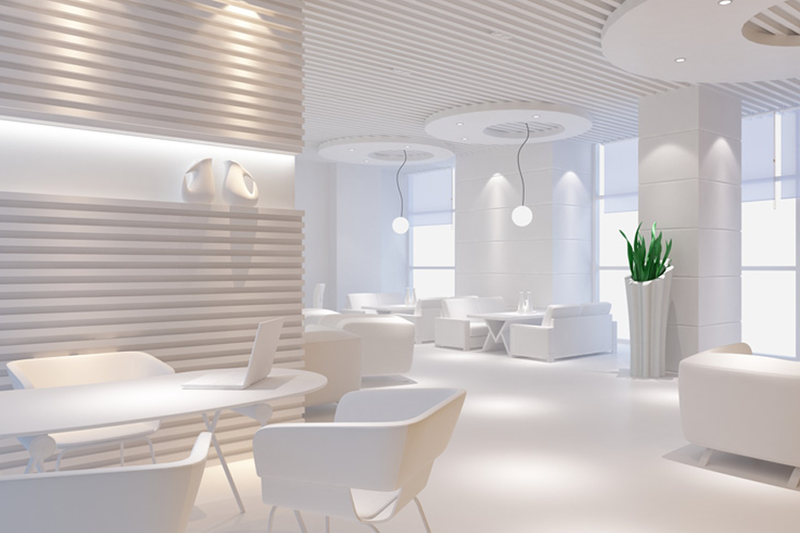 As commercial electricians can tell you the future of lighting is here and its name is LED. LED (Light Emitting Diode) bulbs use 1/10 the energy of an incandescent and will last up to 50,000 hours. Think about that for a minute. If you have a toddler in the family and you install some LED bulbs in your home today, those same bulbs will still be working when that toddler enters college. That’s pretty amazing. LEDs can be as bright or dim as you like, are available in a variety of colours, work flawlessly with dimmers and can be used to create virtually any lighting effect you can imagine. CFLs or compact fluorescents are another type of high efficiency light bulb. They’re intended specifically to replace incandescents. CFLs are miniature fluorescent tubes that are typically winding in nature with a miniature ballast embedded in the base of the bulb. Many fit directly into the same socket the incandescent used to occupy in your lamp. A CFL uses about 1/5 the amount of energy as an incandescent of similar brightness while also lasting up to 10 times longer. Halogen lamps are technically similar to incandescents although different materials are used to achieve the bright, natural lighting effects they typically generate. There are two kinds of halogen bulbs: low voltage and mains. Although they’re more energy efficient than incandescents, halogen bulbs typically won’t find much use in a contemporary home as there’s not much they can do that CFLs or particularly LEDs can’t do just as well and much more efficiently. 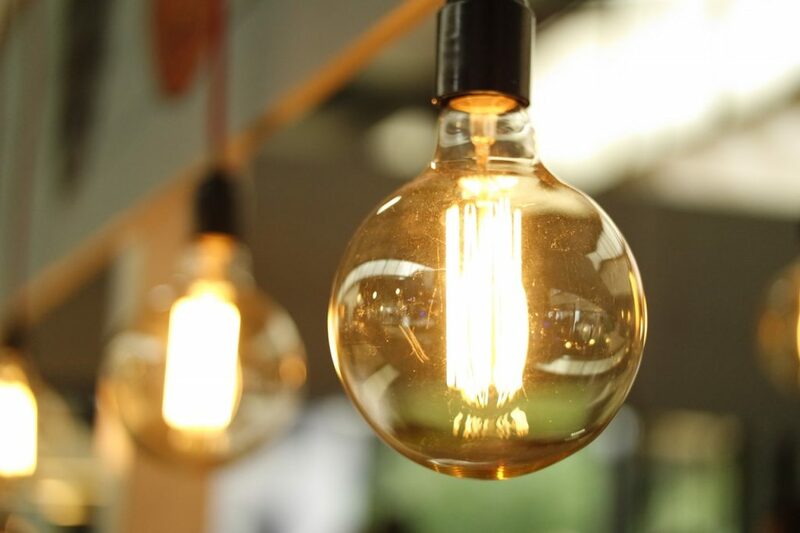 Commercial electricians are familiar with halogens due to the intense white light they’re capable of delivering which many commercial customers find appealing. A lighting scheme has two goals: to bring light to bear on specific tasks and to create space, movement, atmosphere and mood. Different rooms with call for different lighting effects but before you can employ them you need to know what they are. Ambient lighting effects – Ambient lighting is background light that establishes some general parameters when it comes to space and mood. You won’t be using ambient light to create highlights or even for reading in most cases. Ambient light is never harsh although it can be used by itself if relaxation is what you’re after. id=”accent”Accent lighting effects – Once you have laid down a foundation of ambient light you can paint in some highlights with accent lights. Residential electricians employ accent lights to create focal points and drama, to highlight works of art or to add another layer of light when ambient is not enough. Task Lighting – As we discussed above task lighting is functional first and foremost. If it does not effectively fulfil its practical intentions then it has failed and you’ll have to reconsider it. At the same time however task lighting should dovetail seamlessly with other components of the lighting design. It should never overwhelm other components or draw undue attention to itself when engaged. Not every home has a hallway but if yours does it needs to be lit in a way that is in harmony with the lighting in any connected rooms. Generally speaking you can get around jarring transitions between the hall and other rooms by employing diffuse, ambient lighting for the majority of its length. Adding an accent light that perhaps illuminates a piece of artwork or a vase on a table are great finishing touches that will make the hallway seem like more than just a transitional space. The kitchen is perhaps the most challenging room in the house from a lighting perspective. 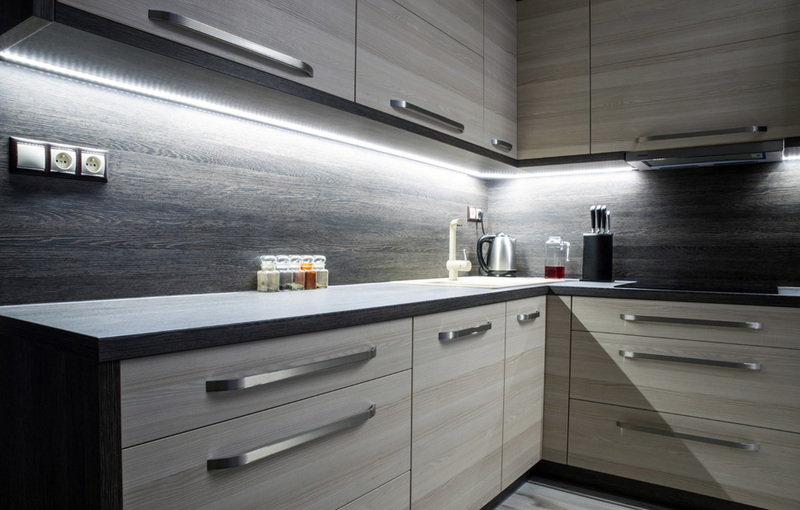 Because of the social nature of the kitchen as well as the fact that it’s where food preparation takes place, due consideration needs to be given to the aesthetics of the space while at the same time you need to provide plenty of task lighting to illuminate countertops and other work areas. Those task lights cannot exist in a vacuum however. They must meld seamlessly with the other components of the lighting scheme. That is, they must be both aesthetic and practical. The living room is the second most used room in the house after the kitchen and is typically where we go to relax and zone out after a hard day’s work. It’s also an important social centre during parties and holidays. The lighting here needs to serve the dual purpose of taking a back seat when you’re trying to unwind and coming to the fore in a way that complements the space when you have guests. 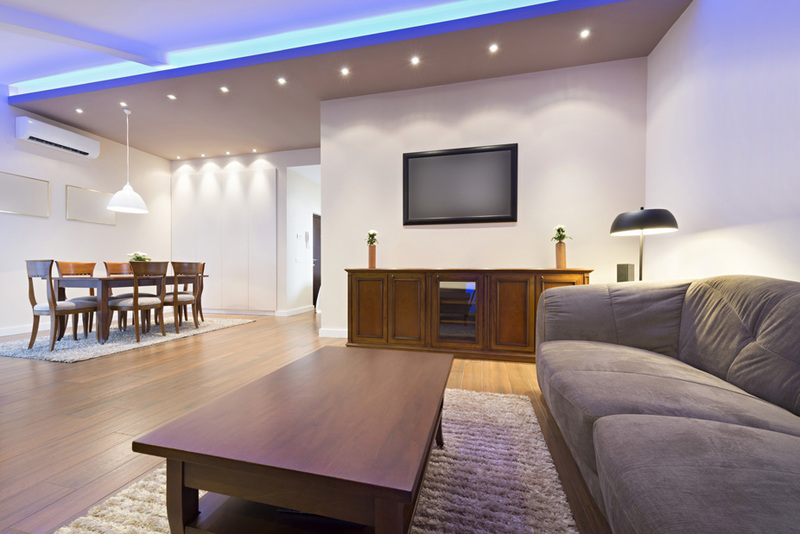 Residential electricians often install dimmers in the living room because they allow you precise control over the mood. They also help to minimize glare on your wide screen TV during the big game. Residential electricians know safety is actually a major concern when it comes to the dining room, even if it’s not commonly talked about. Think about it: you have a number of people in a fairly tight space, with dangerously hot things being carried about and passed over the shoulders of people holding knives and drinking from very breakable glasses. Dining room lighting is typically some of the brightest in the house for this reason but that doesn’t mean it has to be dreadfully dull. A combination of recessed lights, track lights and perhaps a chandelier above the table will allow you to adjust the lighting as the meal wears on. From bright and utilitarian at the start to more subdued as your guest drain the last dregs of the coffee from the pot during desert. In the bedroom ambient light typically rules the day augmented by table lamps or wall lamps that can be individually controlled to allow one person to sleep while the other reads their favourite book. 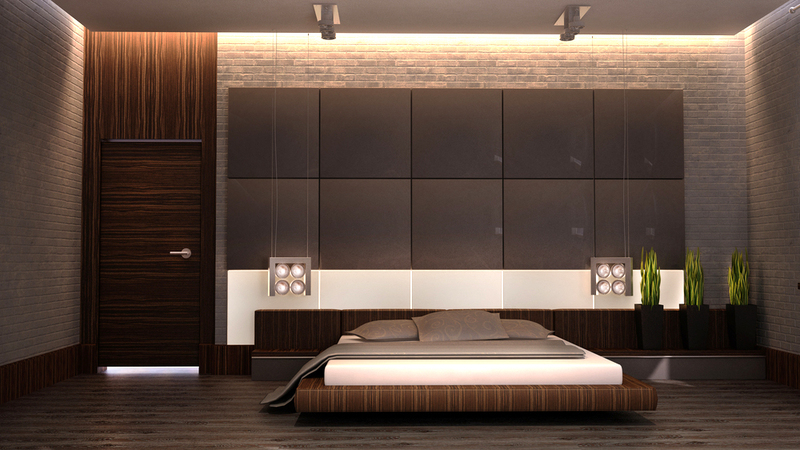 If the bedroom is grand enough you may want to have an accent light or two to illuminate treasured artwork. You’ll also want overhead lights in the closet and/or just outside the closet so you can consider your wardrobe properly on those winter mornings when you’re dressing and it’s dark outside. 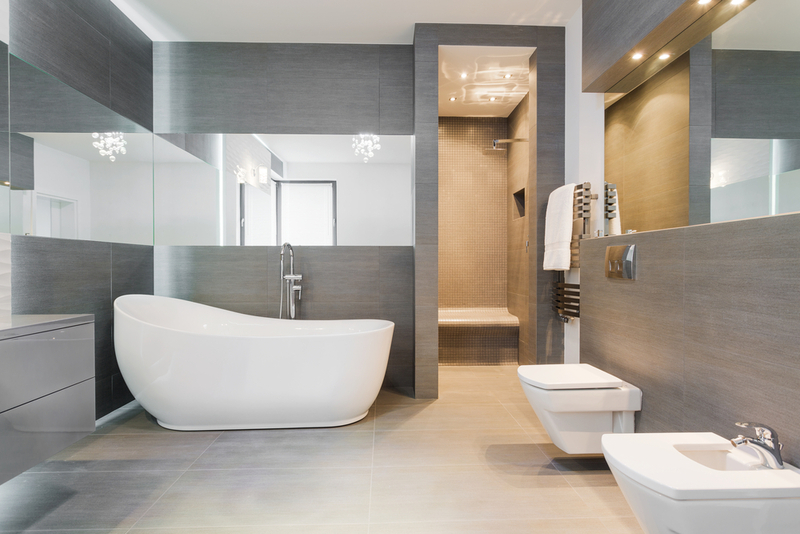 Bathrooms present lighting challenges for both commercial electricians and residential electricians. For the home the bathroom lighting scheme should mix things up in a way that ensures safety but also sets a relaxing mood. A mixture of pot lights, track lights, vanity lighting and accent lights can make the bathroom feel much larger than it is and also ensure no one is taken by surprise by the big puddle in front of the sink. If you really want to ramp up the spa effect introduce candles at various points around the bathroom, but don’t ever shut off all the other lights, especially if the floor is wet. 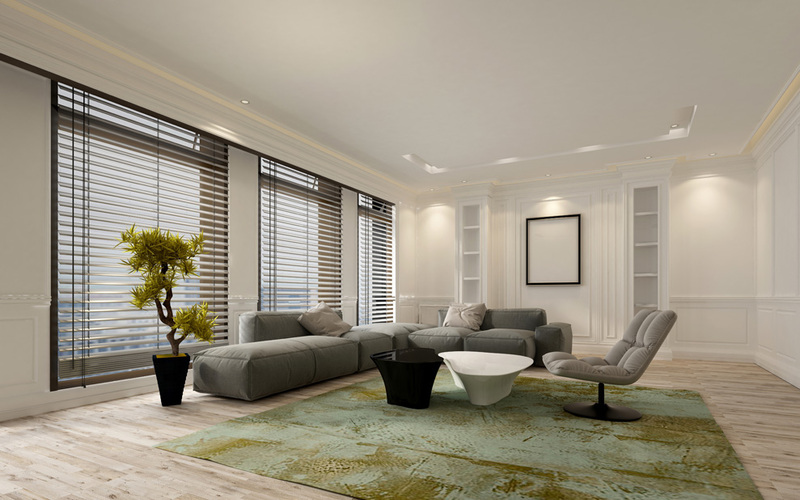 The lighting scheme you choose for your home will either activate the decor or act like a wet blanket draped over it. By working with a lighting designer and qualified residential electricians like those at Hotwire Electric your new home with be a prime example of how form and function can work together to create something that’s greater than the sum of its parts.